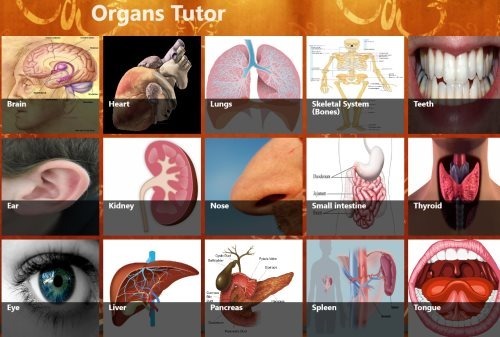 Organs Tutor app for Windows 8 lets you learn about the organs of the Human Body. This Organs Tutor Windows 8 app has been especially designed, keeping in mind all the school students where they can learn about different body organs along with their basic functions. You can get basic knowledge about organs such as Brain, Heart, Lungs, Skeletal System, Teeth, Ear, Kidney, Small Intestine, Thyroid, Tongue, Eye, and more. Lets you learn about the organs of the human body. get basic knowledge about organs such as Brain, Lungs, Skeletal System, Kidney, Small Intestine, Thyroid, and more. Brings you basic description along with pictures. Comes with beautiful tile-based interface. Also, check out our posts on Science App, Apps To Ask Questions, and To Do List Apps. 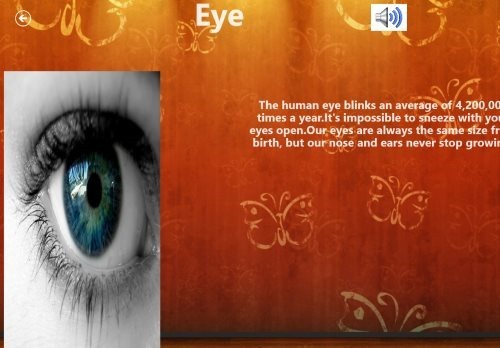 Click on View in Windows Store. Proceed with further downloading steps. In short, Organs Tutor is a good informative app to learn about the basics of human body organs. Go ahead and download Organs Tutor app for Windows 8 now.